German rock band TORPEDOHEAD released the EP "Let's Go For A Ride" in 2010. Now they are trying to release the 2nd album "Greetings From Heartbreak Key" this year. Before that, a single song called "Rotten Radio" from the upcoming album will be released in March. 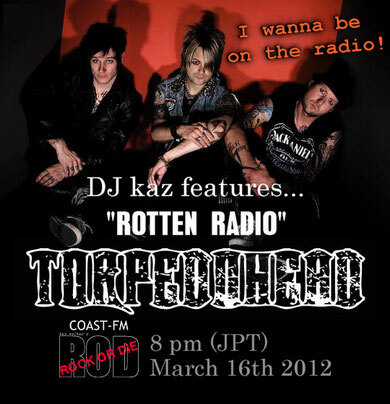 This song will be aired on ROCK OR DIE regular program by Kaz in Japan on March 16, 2012. Visit TORPEDOHEAD website to check out!